15-Piece Nonstick Cookware Just $16.46! Down From $100! PLUS FREE Shipping! You are here: Home / Instagram / 15-Piece Nonstick Cookware Just $16.46! Down From $100! PLUS FREE Shipping! Until May 28 only! Hurry over to Sears where members can get $35 CASHBACK in points when you spend $50 or more on products in Marketplace Home. 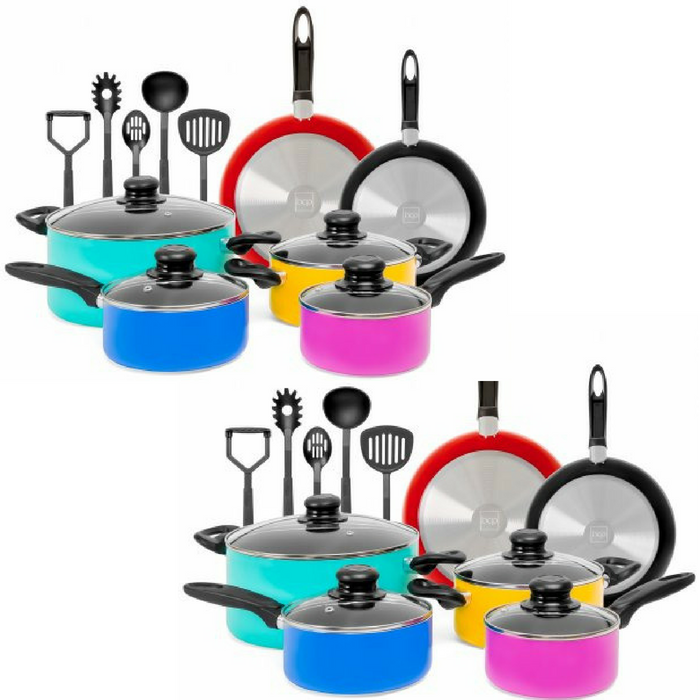 As an idea, you can score this Best Choice Products 15-Piece Nonstick Cookware for just $16.46 down from $99.99 PLUS FREE shipping!